I have been exercising for years. Throughout this time I have tried many different exercise tools, some worthwhile and some a waste of time. From the first time I saw a kettlebell I was captivated. From its unusual shape to its unique motions I asked myself what is this and more importantly I asked is it worthwhile? I have been swinging kettlebells ever since and I can tell you that as part of a comprehensive exercise program kettlebells are an excellent tool. 1. Kettlebells are a time saving tool. With the kettlebell you are able to get a lot of work done at once. This tool is a combination of a strength and aerobic exercise. It also mobilizes multiple muscle groups in a single exercise. Take for example the kettlebell swing. This movement is the foundational kettlebell exercise upon which all other kettlebell movements are based. The swing consists of swinging the kettlebell from below the groin to eye level while moving from a squatting position to standing. This movement combines a slight squat with slight back extension. There is some shoulder activation but most of the shoulder raise comes from the momentum generated by the hips. The legs, pelvic girdle, back, and core are all activated by this exercise. In addition to this the cardiovascular system is challenged as this exercise is performed at a moderate pace for 10 repetitions and up. I have heard of some people swinging a 50lb weight for up to 100 repetitions! Start at around 10 reps and start at a slow pace until you begin to feel more stable. Calling an exercise functional has become a confused term these days. Trainers throw the term functional around to justify trendy and worthless exercises. Functional truly means that an exercise helps a person become stronger and prevent injury in every day activities. A basic example of a functional exercise is a bodyweight squat. This exercise trains you to safely and effectively descend towards the ground for any number of reasons. By practicing in a controlled environment it is possible to focus on performing this movement pattern with proper alignment and muscle activation. People squat on a daily basis to pick objects up off the floor, plug in electronics, or clean up spills. The problem is that we pay very little attention to how we get down to the floor and over time this results in a variety of different potential injuries. After squatting repeatedly with dysfunctional movement patterns people begin to develop back and knee problems in addition to many other possible complications. So then how is swinging a piece of steel between your legs functional? Well, for starters it trains you to have a high level of core stability. Remaining stable while swinging the kettlebell teaches the core to resist external forces that normally would compromise spinal structure. 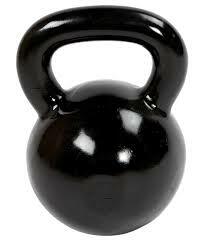 Also the kettlebell teaches one to move efficiently and safely when moving a load with momentum. We see this for instance when placing a box on a high shelf. Most people give the box a bit of a heave to create the momentum to get it overhead. Training with kettlebells will help you to do this with a strong, solid body position. The kettlebell is truly a tool for becoming stronger and more efficient with everyday movement. Weird title but true. Fighters, Strongmen, and Military people use kettlebells often. If you’re looking to use a gym tool that is going to make you more versatile with your strength the kettlebell is for you. These types of people use the kettlebell because it increases their performance and strength in a practical way. Take Pavel Tsatsouline for example. 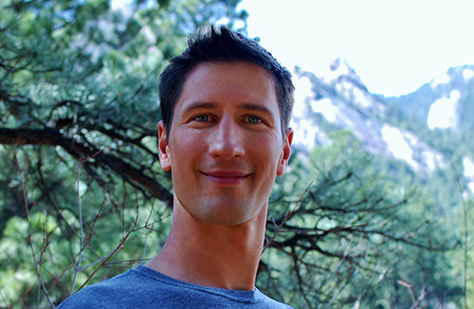 He is the man who popularized the kettlebell in America. He is a martial artist and was responsible for training the Soviet special forces. Pavel has a no nonsense approach to training and chooses the kettlebell because it works. Another example of this is old time strongman Pyotr Kryloff, check him out. If your goal in the gym is only sculpting for looks this is probably not your tool, but if you want to be effective and resilient pick up this weird shaped weight and start swinging.